While transporting an arrogant, demanding princess for a political marriage, Captain Kirk must cope both with her biochemical ability to force him to love her and sabotage on his ship. "Elaan of Troyius" was first broadcast December 20, 1968. 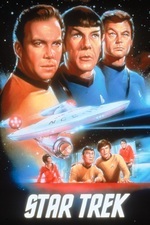 It is episode #68, production #57, and was written and directed by John Meredyth Lucas, the only person in Star Trek production history ever to both write and direct a filmed Star Trek television episode, whether animated or live-action. Deleted Scene descriptions of the episode. Producer Fred Freiberger noted that the episode was intended to appeal to women who were skeptical of science fiction. He remarked, "We tried to reach a segment of the audience we couldn't otherwise reach, and didn't succeed." weird sexist jokes and a female lead with little consistency of character - surprisingly not effective!